Update: October 2013 …Northfield Eco Centre was successful in the crowdfunding bid to raise money to deliver and develop Urban Harvest. Thank you to everyone who supported this project. Urban Harvest is a project managed by Northfield Ecocentre, working with Martineau Gardens, Urban Veg and Growing Birmingham to pick the fruit already growing in Birmingham, making sure it is available to those who really need nutritious fresh fruit through children’s centres and food banks, and increase the number of locally produced products available. There is another way! Urban Harvest was set up as a business a couple of years ago by two motivated individuals who identified a real need in our community and felt compelled to take action. They picked five tonnes of fruit in one harvest season but due to personal commitments were unable to take the business forwards. It seems crazy to us that so much local fruit rots where it grows when we pay to transport enormous quantities of fruit to us through supermarkets. Especially as obesity is on the increase just as family finances are reducing. There is another way! In 2012 Northfield Ecocentre worked with Urban Harvest to continue the project. Despite the weather causing a poor harvest we were able to pick enough fruit to give to local children’s centres and local residents to promote healthy eating. We are now working to develop this project to become financially self-sustaining. For six months a year there is a lot of coordination needed to find and organise volunteer fruit pickers, find picking locations and agree permissions with land owners, organise fruit sale,distribution and preserving, and run courses to share skills and knowledge. For the project to be a success we need a paid coordinator. In future years this person will be paid through the income from the previous year. We need to raise funds to get this started. We are looking for 2000 people willing to invest £5 (or more) in Urban Harvest and we need your help. We are offering lots of exciting rewards including workshops on pruning and juicing, fruit trees for your own gardens and invitations to special events. 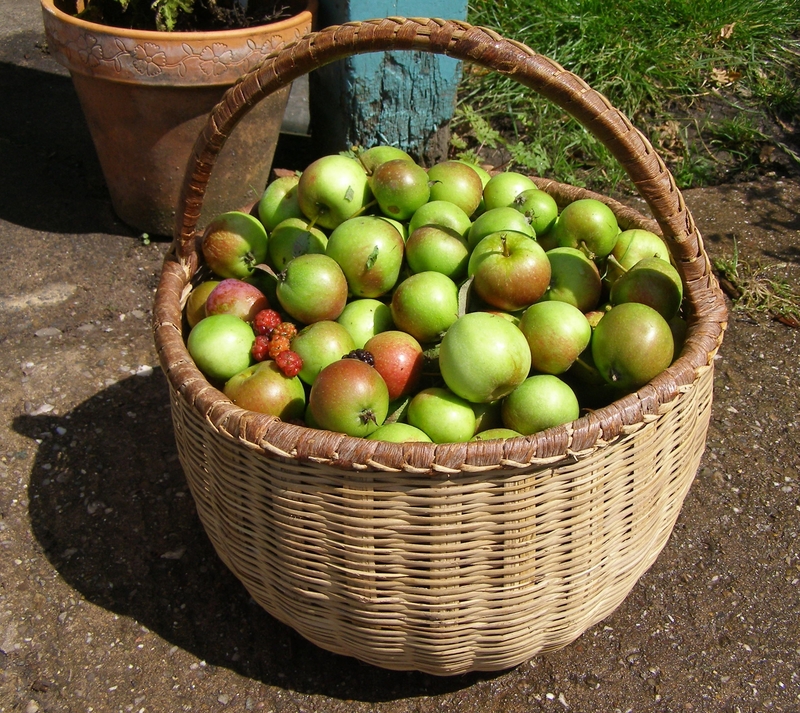 We will be offering other rewards throughout the eight weeks of crowd funding including a special business offer of planting an orchard in your grounds. Northfield Eco Centre was successful in the crowdfunding bid to raise money to deliver and develop Urban Harvest. Thank you to everyone who supported this project. If you have a fruit tree (especially apples) and don’t have time to pick, you can donate your fruit to the project and the Urban Harvest team will pick it for you. If you spot a laden fruit tree going to waste, get in touch with Urban Harvest!